Part of the FENTY PUMA by Rihanna Collection. Fitted track pants. 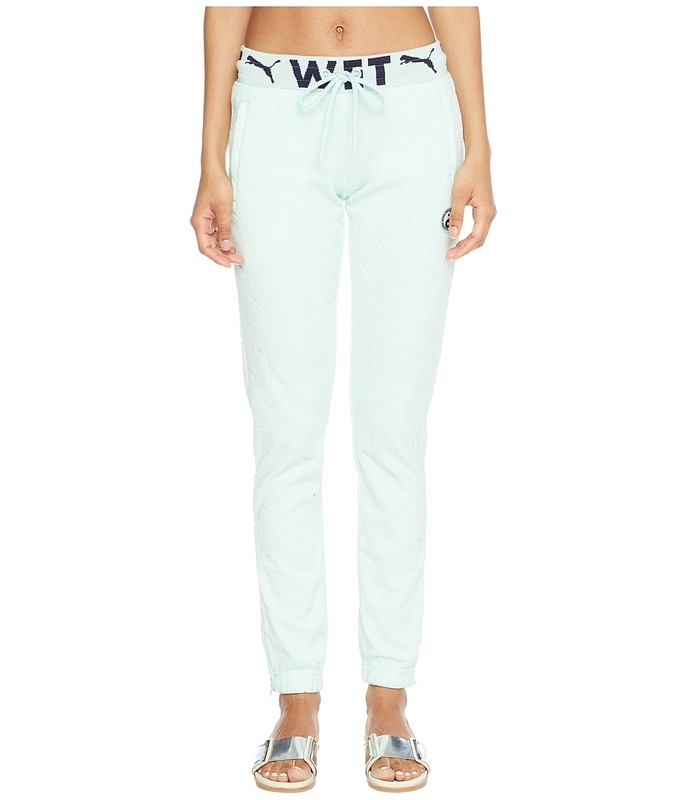 Wet graphic at waistband with drawstring tie at front. Hand pockets. Yin and yang logo at left hip. Tapered leg with partial zip closure at cuffs. 80 percent cotton, 20 percent polyester. Machine wash cold, tumble dry low. Imported. This item may ship with an attached security tag. Merchandise returned without the original security tag attached or a damaged tag may not qualify for a refund. Measurements: Waist Measurement: 26 in Outseam: 38 1 2 in Inseam: 31 in Front Rise: 9 in Back Rise: 12 in Leg Opening: 5 in Product measurements were taken using size SM, inseam 31. Please note that measurements may vary by size. Part of the FENTY PUMA by Rihanna Collection. Fitted leggings. Elastic waistband. Eight-eyelet lace up at sides. Tapered leg. 63 percent viscose, 32 percent nylon, 5 percent elastane. Hand wash cold, line dry. Imported. This item may ship with an attached security tag. Merchandise returned without the original security tag attached or a damaged tag may not qualify for a refund. Measurements: Waist Measurement: 25 in Outseam: 42 in Inseam: 31 1 2 in Front Rise: 11 in Back Rise: 12 1 2 in Leg Opening: 4 in Product measurements were taken using size SM, inseam 31.5. Please note that measurements may vary by size. Part of the FENTY PUMA by Rihanna Collection. 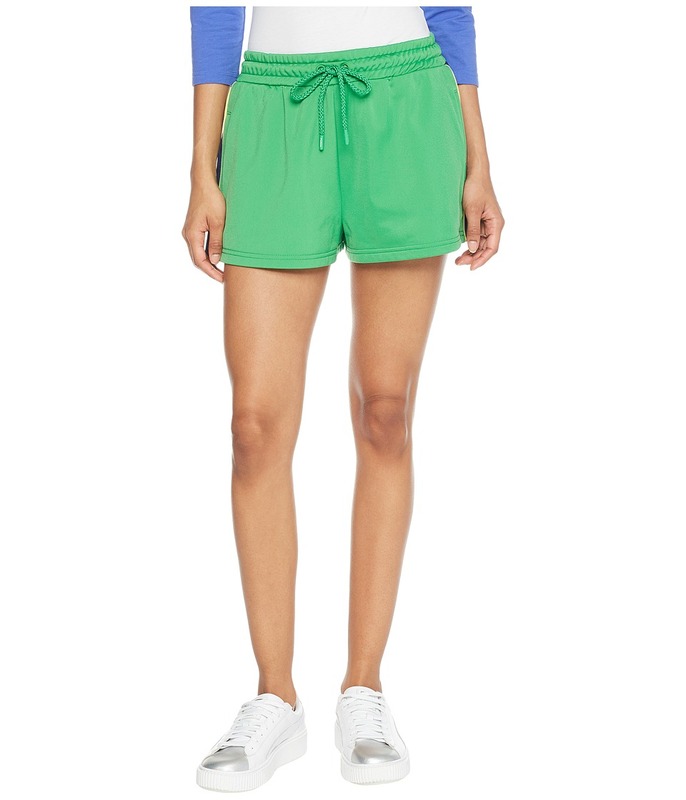 Stretch terrycloth shorts with contrast color piping. Knitted Wet graphic waistband. PUMA cat and yin yang Slippery When Wet rubber patch at the left leg. Rope drawcord with rubberized logo cord ends. Straight hemline. 80 percent cotton, 20 percent nylon. Machine wash cold, line dry. Imported. This item may ship with an attached security tag. Merchandise returned without the original security tag attached or a damaged tag may not qualify for a refund. Measurements: Waist Measurement: 26 in Outseam: 9 1 2 in Inseam: 2 in Front Rise: 11 in Back Rise: 13 in Leg Opening: 11 in Product measurements were taken using size SM, inseam 2. Please note that measurements may vary by size. Part of the FENTY PUMA by Rihanna Collection. Tearaway shorts. Split to waist. Contrast color side panels and piping. Rope drawcord with rubberized logo cord ends. Hand pockets. Straight hemline. 100 percent polyester. Machine wash cold, line dry. Imported. This item may ship with an attached security tag. Merchandise returned without the original security tag attached or a damaged tag may not qualify for a refund. Measurements: Waist Measurement: 28 in Outseam: 12 1 2 in Inseam: 1 1 2 in Front Rise: 13 in Back Rise: 15 in Leg Opening: 15 in Product measurements were taken using size SM, inseam 1.5. Please note that measurements may vary by size. 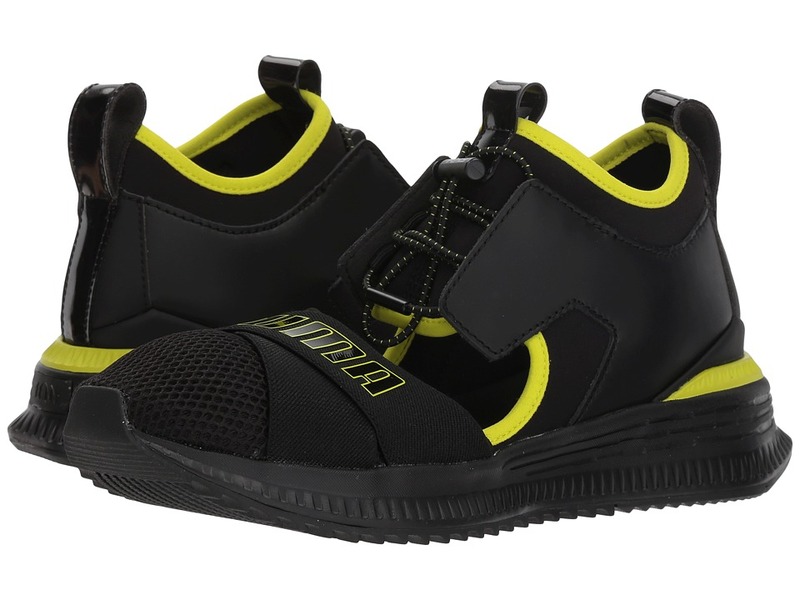 Make a big, bad leap into summer fun with the bold branding and daredevil detailing of the PUMA Fenty Avid shoe! Rihanna returns as creative director for the latest FENTY PUMA by Rihanna collection. In-line street style running sneaker. Mesh and nylon upper with cool, summer cut-out construction. Toggle lacing system. Forefoot webbing straps feature bold PUMA Logo. Pull-on tongue and ankle loops for easy on-off. Ankle loop features PUMA Cat Logo. Heel sports FENTY badge detail. Grippy rubber outsole provides stability and traction. Imported. Measurements: Weight: 11 oz Product measurements were taken using size 8, width B - Medium. Please note that measurements may vary by size. Weight of footwear is based on a single item, not a pair. Part of the FENTY PUMA by Rihanna Collection. Boyfriend style. Crew neck pullover. Extra-long raglan sleeves. Puma logo graphics throughout. Straight hemline. 80 percent cotton, 20 percent polyester. Machine wash cool, line dry. Imported. This item may ship with an attached security tag. Merchandise returned without the original security tag attached or a damaged tag may not qualify for a refund. Measurements: Length: 30 1 2 in Product measurements were taken using size SM. Please note that measurements may vary by size.